How to keep mamma away from computer? How do I keep myself busy when Mamma does office work? 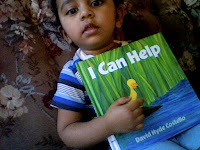 Liya and I are happy to share our Story of the Week - I can Help, by David Hyde Costello. Mommy Thoughts? I am sure the 'title' gives you a glint of the story. It is a cute and simple story which proves "a little help goes a long way". It is a perfect story to teach your child on the necessity of helping people around us, no matter who they are! Their color, caste, strength, size... nothing should be a barrier when we come across someone who is in need of help. ** click to enlarge the pic. This place resembles my homeland, Kerala, a state in India. In fact, these are clicked from Buffalo! 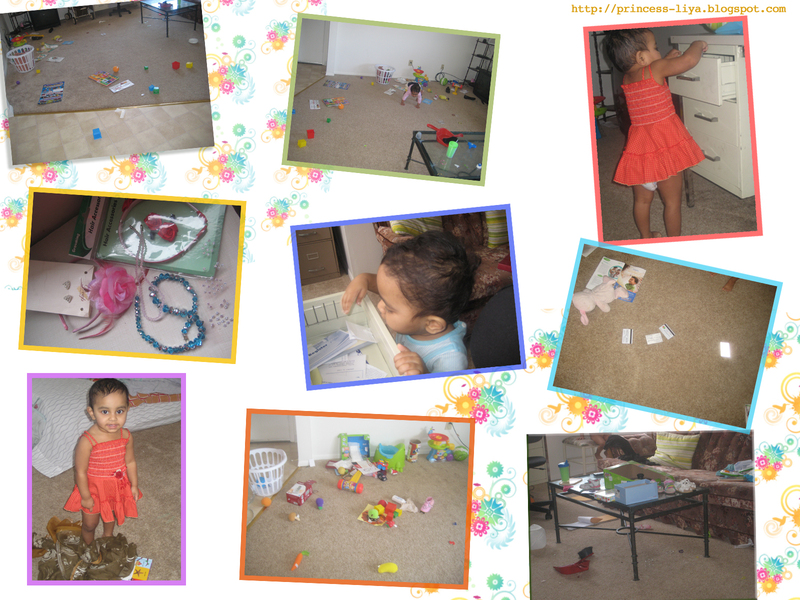 Every Friday, I will (try to) share, one (or more) naughtiest activity Liya did/learned 'particularly' through the week. I am sure it would be fun to watch how does 'impishness' build up, as kids grow. So stay tuned! Naughtiest activity of this week? 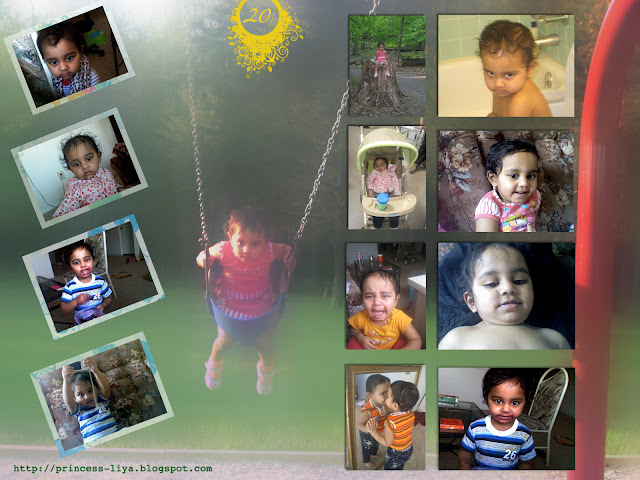 Liya is celebrating her ♥ 20th month ♥ on the face of the earth. Well, let's see what is she up to these days. She is able to form complete sentences. We do speak Malayalam at home. But as you know she's been exposed to the world of books, and she has non-Malayalam speaking friends around that she is picking up English faster. [I do teach her too]. 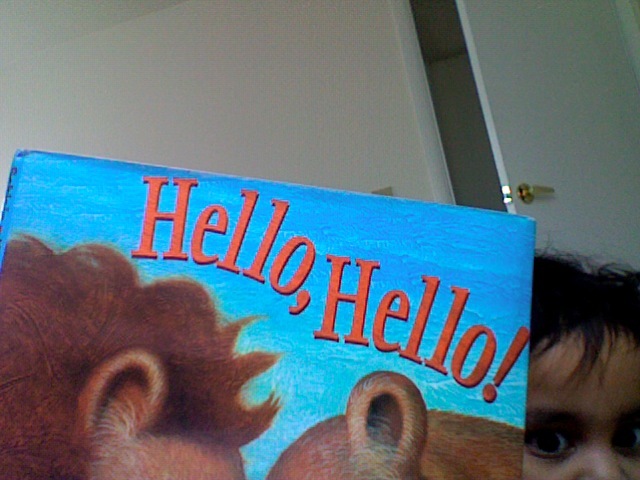 Like I mentioned in my previous post, Liya and I have been reading 'Hello Hello' by Miriam Schlein, through the week. Why this book? During our trip to the local library, even though I came across several interesting books, I chose this book for a specific reason. I thought, it would be an excellent idea to 'introduce' few animals to Liya. She has been seeing few birds, dogs, and deers, but didn't know about other animals around. 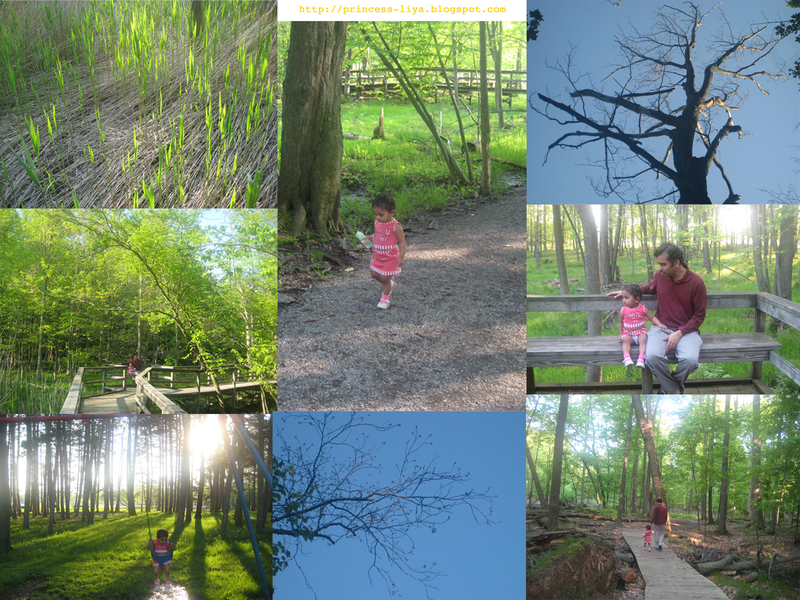 What did we do in this weekend? Finally, we took a membership in Buffalo Public Library. We spent almost 2 hours there. Liya was super excited to see tons of books together. What did Liya do there? She played in the mini kitchen play area. She spent a long time on the jigsaw board puzzles. She did not know what to do with puzzles, hence I showed her. Most of them were linked with animals and best suiting for early beginners like her. I stated each animal's name and showed her how to group up the puzzle. She was shouting in ecstasy. She pronounced the names so louder that people stopped by and gave a weird/smiley look. She waved and greeted every one with Hello, said untimely Thank you's to people walked by, she watched children playing, talked them in her own mixed dialect consisted of broken English and 'childish' Malayalam. She read so many books randomly. Last weekend we visited Canada side of Niagara falls. We had done our visa processing etc few weeks ago, and the processing was unusually quick and easy process. We started from Buffalo at 2.30 in the after noon. Canada falls is almost 15 miles far (nearly 30 minutes drive) from our home. It was a warm and pleasant day. Liya just loved her trip as always. She was super excited, watching the scenery and commenting on everything passed by. The view of Niagara falls from Canada is mind-blowing. I have no words to describe the beauty. Liya did not want to sit on her stroller and wanted to be carried in our hands so that she could get a complete view. I'm tagged by Madhumathi. Thank you so much Madhmathi for the love and care toward me. Following the tradition of this tagging I am 'bound' to share few things about me. I am sure you know every bit of my life through each post on this blog. Please bear with me for talking about me again and again. Book of the week :: Let's Say Hi to Friends Who Fly! 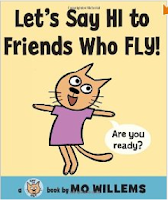 Let me share our reading experiences with Let's Say Hi to Friends Who Fly by Mo Willems. This is an interesting read for early readers, I would recommend it for kids above 2.5- 3 years. A wound on the elbow and pain in the heart! See the pic, do you know what is it all about..? I am sure you would be knowing it now, but may not be after few months (Insha Allah)! This is the first injury you ever had on your body (forget about the needle pricks you had at NICU- you were too young to express your emotions). 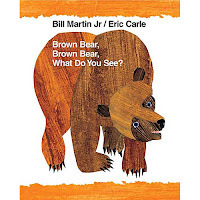 Book of the Week : : Brown Bear Brown Bear What do you See? It's Wednesday- time to share our 'story reading' through the week. So, what were we reading this week? Well, it was 'Brown Bear Brown Bear What do you See?' - a picture book by Bill Martin Jr.
Mommy's take on the book? 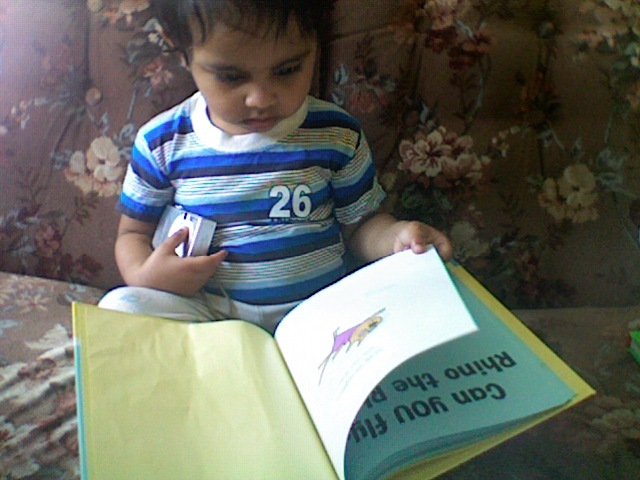 It is a picture book designed to help kids (mainly toddlers) associate colors and names to particular objects. The book 'rhymes' as if asking to various animals 'what do they see..' with a response which links to another animal (mostly) and ending up with teacher and children. The characters in the rhyme are Brown Bear, Red Bird, Yellow Duck, Blue Horse, Green Frog, Purple Cat, White Dog, Black Sheep, a Goldfish, a teacher and students.